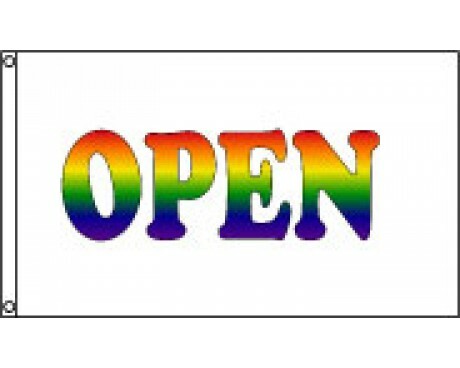 Wether you are celebrating a grand opening, would like to reintroduce your business to the community, or simply use as a means to let your customers know your times of operation, open flags for businesses and grand opening flags are a key communication and advertising tool. 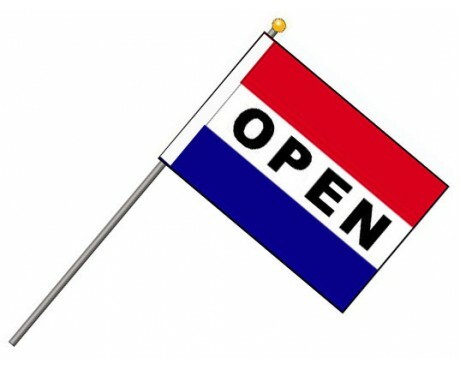 An open flag is a welcoming tool and an effective means to generate awareness for your business or work establishment. 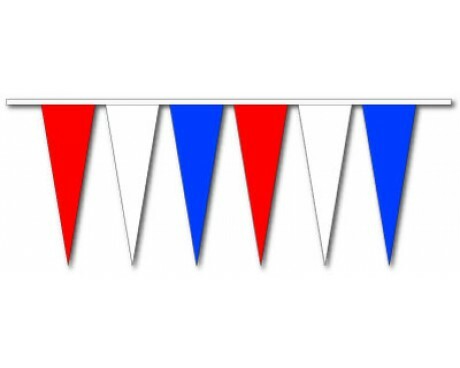 There are so many open flags to select from with varying styles and choices of mounting options. 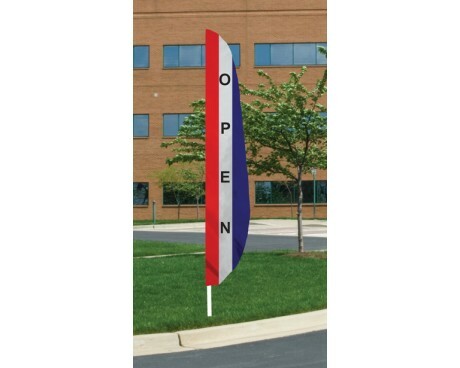 A standard horizontal open flag, has printed lettering with sewn nylon stripes, and can be single or double-sided. 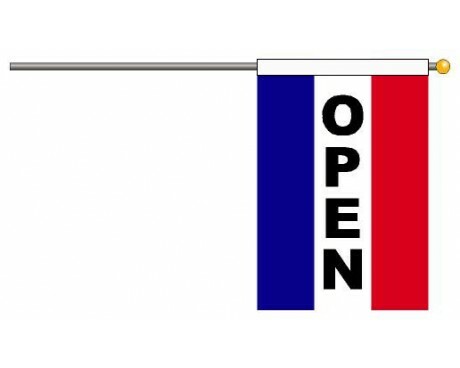 A single-sided open flag has a reverse image on the back. 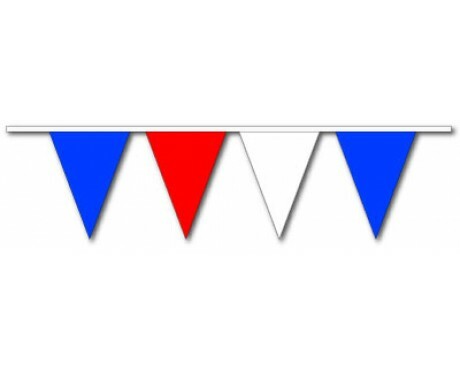 Open flags can be constructed with a canvas header and grommets or a pole sleeve with tab for mounting. 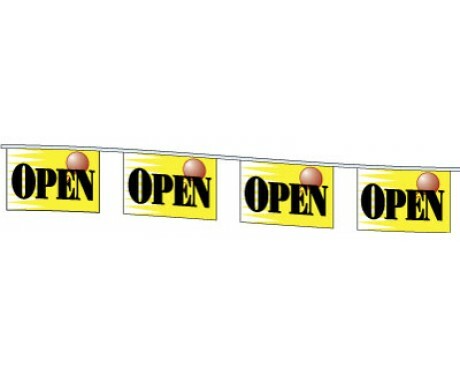 Vertical open flags for businesses have the same available construction options as the horizontal. 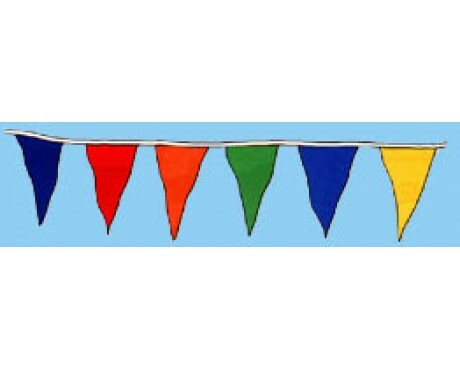 Standard sizes for open flags are 2x3 feet and 3x5 feet. 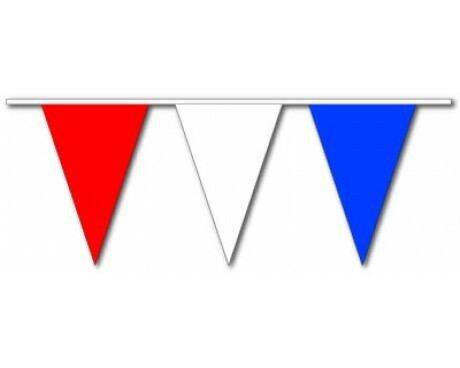 Each open flag is made in America with high quality materials. 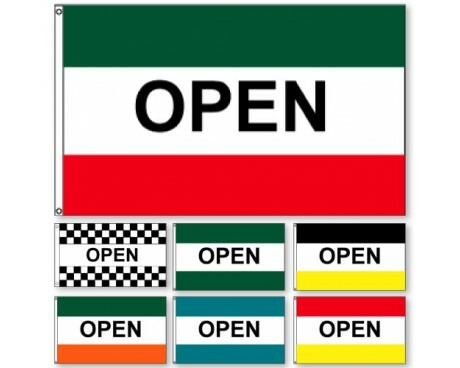 Should you not want to take the more traditional approach to your open flag, there are many options that incorporate a more specific touch that may appropriately relate to your business. 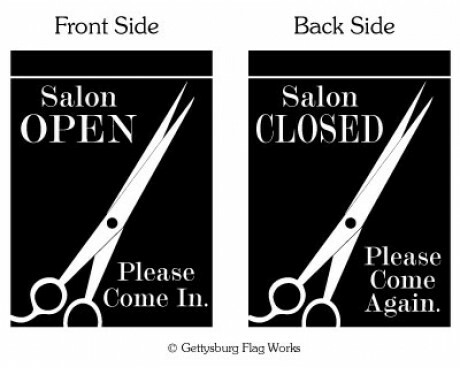 We have open flags for businesses specific to certain industries – such as hair salons and barber shops. 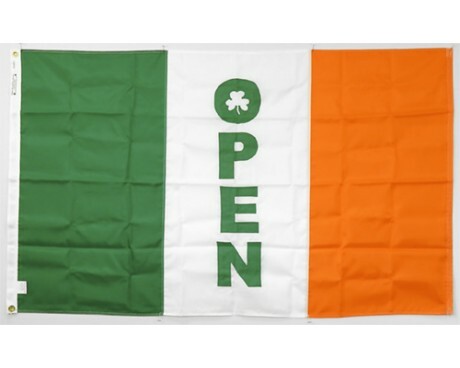 There are also open flags that represent different ethnic backgrounds such as Irish or Italian. 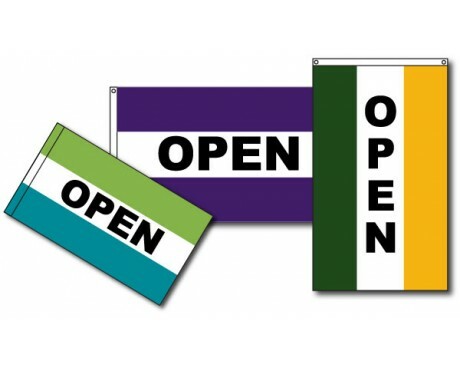 If you are a new business or just new to the community, a grand opening flag or grand opening items are an effective tool for drawing attention. A grand opening event is the first impression that your establishment will make on the community and therefore your grand opening items should make a statement. 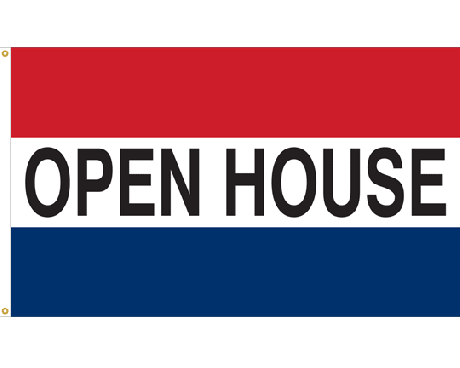 Most grand opening flags are 3x5 foot with printed lettering, sewn stripes and single-sided (with reverse image on back). 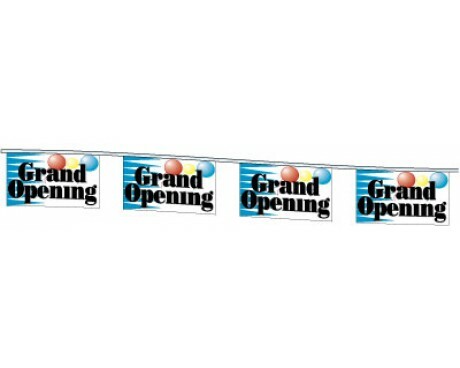 Some of the more traditional grand opening items are single-sided vinyl banners (3x10 foot) with header and grommets along the top for easy hanging. 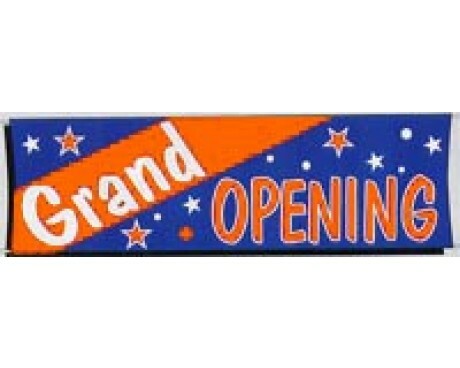 Other grand opening items include grand opening rectangle pennants – 12x18 inch rectangle pennants on a sag-resistant header. 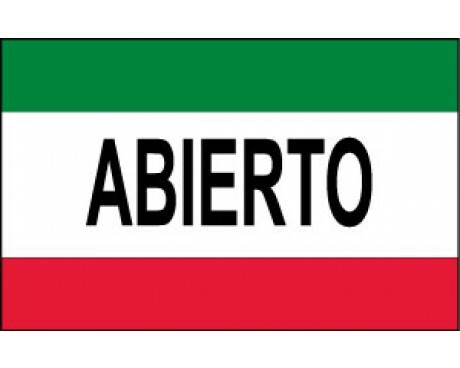 We also have some non traditional options of grand opening flags, such as larger sized banners (4x15 foot, 6x20 foot), grand opening flags with fluorescent lettering and a grand opening flag written in Spanish. There are other grand opening items for you to choose from as well. 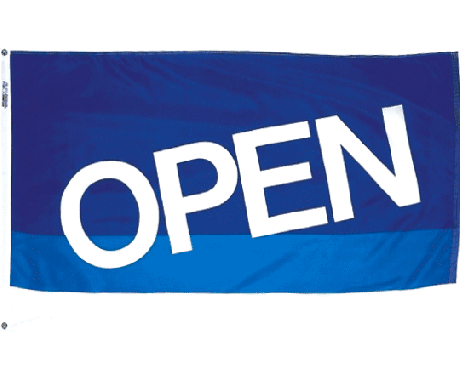 Did you know we can customize your open flag or grand opening flag? 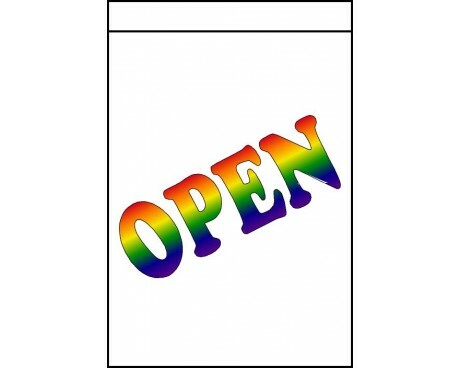 We customize open flags for businesses, and grand opening flags by adding a custom message or by using your unique color scheme. Choose from a wide assortment of colors for your nylon stripes, determine your orientation preference (vertical or horizontal) and method of finishing (canvas header and grommets or pole hem and tab). We will happily work with you to make an open flag and/or grand opening flag that you are proud to fly in front of your business.